Kids love Build a Bear workshops, but frequent trips can become costly. A Build a Bear discount can save you money while at the same time allowing your child to enjoy the experience more often. Earn one point for every dollar spent. Once 100 points are accumulated, you'll receive a $10 gift reward certificate. During the month of your birthday, you can earn one and half points per each dollar spent. Earn 25 points for each party you hold in a Build a Bear Workshop. Points can be earned on all merchandise, including items that are on sale, as well as orders placed at the company's website. There is also a program included with membership that allows you to earn specific rewards, such as free accessories or outfits, depending on the number of points you earn within each one-year period. The prices of available animals can be quite expensive, depending upon the size of the animal and the amount of accessories and customization involved in the design. Although you may be able to purchase and build a small bear for around $10, larger, more detailed bears can run as high as $100. You can find discounts on Build a Bear products in a variety of ways, however. The following coupon code sites frequently offer a Build a Bear discount code or printable coupon. Check back periodically as some of the discounts will expire, and you'll need to search for new codes and coupons. Popular coupons at these sites often include $3 off of a $15 purchase and $5 off of a $20 purchase. Most of these sites work the same way. They typically do the footwork for you, searching the Internet for deals and discounts that you can use to save money. Once you've found a code, there may be a link that takes you directly to the Build a Bear site, or you may have to type it into your browser. Once there, you'll need to select a bear and customize it according to your preferences. When you get ready to check out, you'll be given an opportunity to enter your coupon code. You should see the savings before you complete your transaction. If one code doesn't work, however, try another one. For additional savings, sign up online at the Build a Bear site to receive their newsletters via email. These emails will give you information on promotional specials and sales that may be running. In addition, don't forget that Build a Bear offers a 100% satisfaction guarantee policy, and there is even a Bear Repair Hospital for those toys that get "injured." The concept behind Build a Bear is simple: Kids create their own bears to take home and cherish. 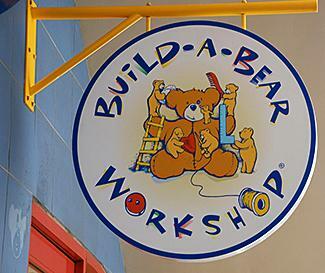 The first Build a Bear workshop appeared in 1997, and the concept quickly became a gift-giving alternative and birthday party destination for parents and children. Currently there are over 400 workshops open across the world, as well as the company's own website where bears can be customized and ordered online. 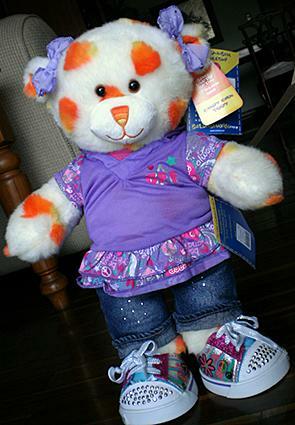 Maxine Clark founded the Build a Bear concept with a goal of bringing the teddy bear to life. In 1988, the company's mascot Bearemy was created. The organization partners with a number of worthy organizations such as the World Wildlife fund (WWF) and First Book. These programs fight against illness, promote literacy, and do much more worldwide. The Build a Bear Workshop has garnered many honors and awards including the Good Housekeeping Seal of Approval. While discounts for Build a Bear aren't very common, if you're a frequent customer the Stuff Fur Stuff club is the best way to maximize your purchases and save a bit of money. For one-time customers, it pays to watch for sales and check for coupon codes in order to get the best discount on your purchases.